Flying is a great way to get away from it all. It's a welcome distraction from the everyday routines and expectations. Most of us travel by air to go to new places so that we can see and do things that we've never experienced before. Air travel is generally safe, and there are many destinations that you can fly to. It's one of the fastest ways to travel across states, countries and even oceans to visit different areas of the world. 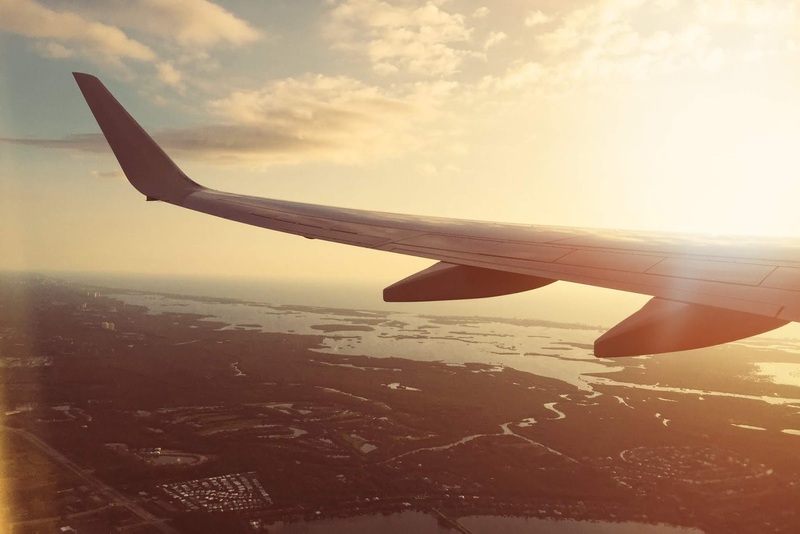 Most flights are rather affordable, depending on the destination and time of year that you are traveling. You can find out more online at SAA flight bookings about airfares to domestic and international air travel destinations. You may also want to do some research beforehand about where you want to go. Find out more about that particular country or region and look up some of the more popular activities or attractions that you can visit while you're there. One complaint that you often hear about from frequent flyers is lost luggage. Having luggage tags on your suitcases or backpacks that you travel with is a good way to help reduce the chances of having your baggage lost or stolen. There are even trackable luggage tags with serial numbers that you can register online for a better sense of security. There are many models of noise-cancelling headphones and earbuds available on the market today. They do a good job of filtering out background noise, such as crying babies, airplane sounds and conversations from other nearby passengers. It's okay to interact with your fellow travelers, but sometimes you just need a little peace and quiet. These devices allow you to focus on enjoying the music or other entertainment that you're listening to while the time goes by as you're flying to your next destination. Sometimes while we're flying a long distance in a cramped seat, our feet can start to swell. Compression socks do a good job of reducing exhaustion in our legs and improving circulation while we are not moving. They can even help reduce the chances of having blood clots or deep vein thrombosis (DVT), which can cause leg cramps or leg pain. A good eye mask can block out light and help you get some much-needed rest, especially if you're traveling overnight or on an international flight. There are many models to choose from, many of which offer adjustable straps and are lightweight enough to fit easily inside any kind of bag when you're done using them. They're comfortable, and won't ruin mascara or eye shadow, either. Our cell phones are the one piece of equipment that we almost always carry with us wherever we go. One inconvenience with such technology is that the battery tends to run down the more that we use them. Having a reliable phone charger or two with us while we're flying can let us recharge their batteries so that we can use them to stay in touch with our friends and family and take photos and videos to create lasting memories of our trip. No matter how often we fly, the pillows that are handed out by flight attendants when we fly just never seem to be very comfortable. That's why it's a good idea to bring along your own travel pillow, something that's small enough to fit in your bag and can be used whenever you need it. There are also travel pillows made from memory foam that adjust to your every movement. They can help you get the rest you need so that you can awake feeling refreshed and ready to enjoy your vacation. An important part of any kind of travel is staying hydrated. Collapsible water bottles are good travelers' tools. They can fold up and be stored in your bag when you're going through airport security, and can be refilled at any water fountain. You can even fill them with a favorite beverage to enjoy on your plane ride. No matter how often a person flies, they usually experience jet lag at some point. They feel tired, fatigued or generally have a lack of energy. There are several over the counter products that can help fight these effects. Many of them contain natural ingredients and are non-habit forming. These are just a few products that can help make your next flight more enjoyable. Packing smartly can help improve your travel experience. Many of these items are easy to find and are relatively inexpensive. They can make all the difference between a bad flight and a great flight.